Top left: the Wise Guy at Seven Falls Denver. Middle left: three stooges. Bottom: A place to ponder near downtown Denver. Top right: Coaching a beginner how to ski. 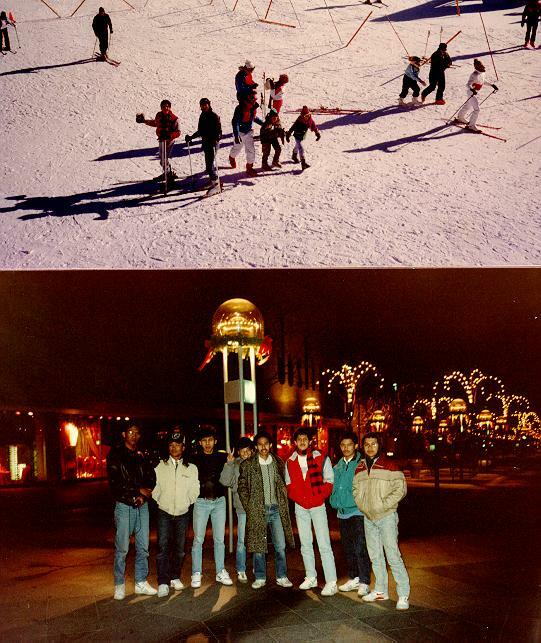 Bottom right: THE LOST BOYS....night in Denver. Let's look at St.Louis. : This time...by car?